Intensive Courses also know as Crash Courses are the quickest way to pass your driving test. With an Intensive Course all your lessons are compressed into a period of just one or two weeks. Intensive Courses are available in both Manual and Automatic Lessons. They are available Monday to Friday between 8am and 5pm. The courses are flexible between these times but you will need to be available for 2 or 3 hours at a time. All lessons are done in the weeks just before your test. We will do our up most to make sure you get an early test date where possible. 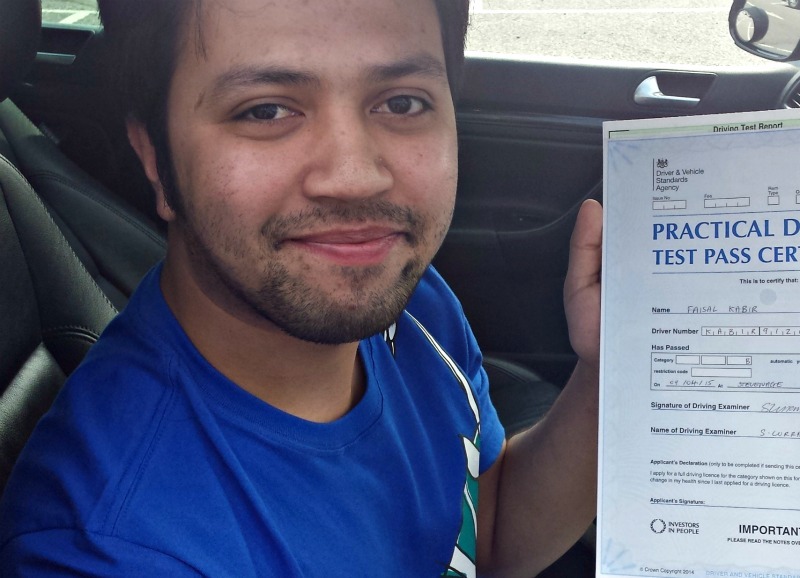 All lessons are conducted on a 1 to 1 basis with a fully qualified Driving Instructor. There is no need to attend a residential course, as our instructor will pick you up from the place of your choice. As a professional Driving School we think it is important to individually assess all pupils to see how much experience they have. This allows the instructor to see how much work is needed to reach the required standard to take the Driving Test. After the assessment your instructor will recommend one of the courses below. This course would usally take 3 to 4 days to complete. Manual cost £342 and Automatic cost £362. This course would usally take 5 to 6 days to complete. Manual cost £462 and Automatic cost £492. This course would usally take 7 to 8 days to complete. Manual cost £582 and Automatic cost £622. This course would usally take 9 to 10 days to complete. Manual cost £702 and Automatic cost £752. This course would usally take 11 to 12 days to complete. Manual cost £822 and Automatic cost £882. This course would usally take 13 to 14 days to complete. Manual cost £942 and Automatic cost £1012. If you would like to book a course we first take you out for an assessment lesson to decide which course is best for you. If you decide to book the course that we advise the assessment lesson is deducted from the total number of lessons in that course. We then ask for a £80 deposit from which we book your driving test, after which we book the rest of your lessons accordingly. Lessons for Intensive Courses are normally done in multiples of two, three or four lessons at a time. If you decide not to book one of the courses the assessment costs just £26 for a manual car and £28 for an automatic car, with no further obligation. Please note that if you are considering an Intensive Course it is best if you have some driving experience in the past. If you are new to driving we would suggest have a few weekly lessons first to learn the basic car control before attempting one of the courses, as they can be very tiring. You could be our next customer to pass on our intensive courses. Try a intensive course now. Intensive courses can help people who struggling to retain information from one week to the next. Jasmine passing her test with Mark She choose Bell after being messed around by her previous school Jasmine said "Mark is a very good instructor, always has a polite and calm attitude which is important for learners. I have had other instructors before but Mark is the best. Thanks for the lessons and helping me pass". Munesu passing with our manual Instructor Paul in Hemel Hempstead Recommended by her brother and her sister Munesu said" Paul is very encouraging and knew how to bring out my confidence and pushed me when I needed it. Never gave up on me and didn't allow me to give up on myself". Daniel passing 1st time with our manual instructor Paul in Hemel Hempstead Paul choose Bell because his brother passed with us Daniel said "Paul has help me pass the test by showing me different ways of dealing with situations"